That morning’s reflection brought awareness to the importance of what we are striving to achieve during this expedition. We are all driven by curiosity and can accomplish so much more when we work together. This expedition on Falkor brings together scientists and engineers from two organizations: (Monterey Bay Aquarium Research Institute, Simons Collaboration on Ocean Processes and Ecology) and is supported by four funding agencies (Schmidt Ocean Institute, Simons Foundation, David and Lucile Packard Foundation, National Science Foundation). 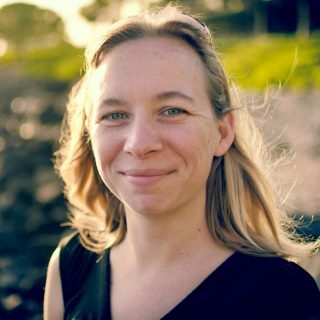 It is also a unique opportunity for all those involved to be part of a melding of many disciplines: biology, engineering, seamanship, biogeochemistry, software design, programming, physics, and oceanography. Within each discipline, we pulled on our strengths such as the courage to launch and recover the vehicles for the first time off a large ship in high sea state (3-5 meter swell). Curiosity to develop new code for an instrument or engineer a fluid path using a 3D printer. Knowledge of marine microbial sampling was used to carefully design experiments to compare ESP and traditional sampling. Experience from previous missions was used to validate algorithms to control the vehicle behavior to detect oceanographic features, such as the deep chlorophyll maximum (DCM). 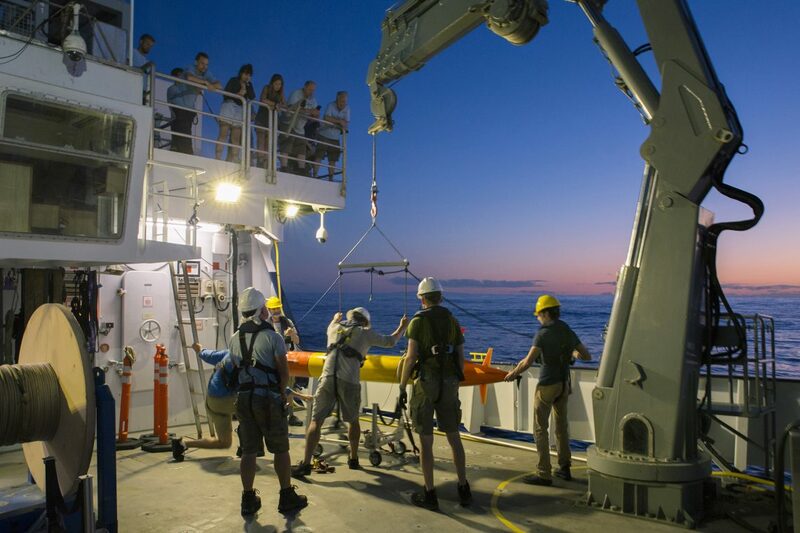 All of these efforts prior to (and during) the cruise allowed the collaboration to launch a new fleet of vehicles with the mission of collecting valuable scientific data to deepen our understanding of the DCM. There were so many people on the ship and on land who paddled together to achieve a new level to sample the marine microbial community. 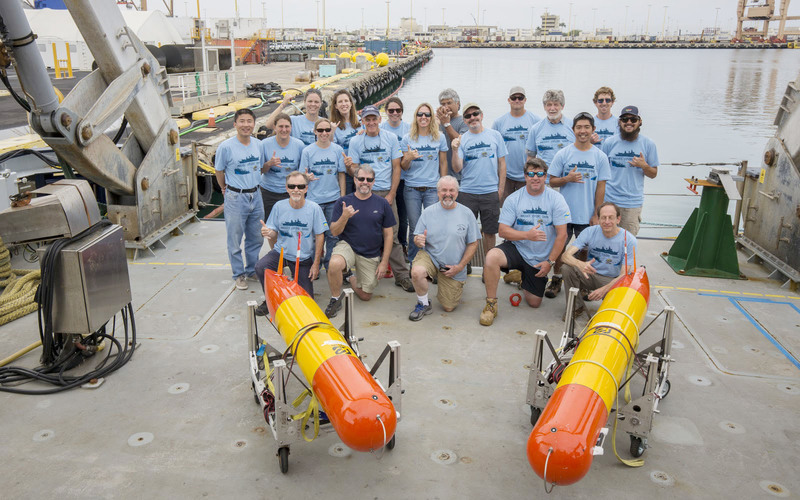 “So what is next?” you might ask: After the Long Range Autonomous Underwater Vehicles (LRAUV) are back on land, the work continues as we investigate what the vehicles captured during their six days of sampling. 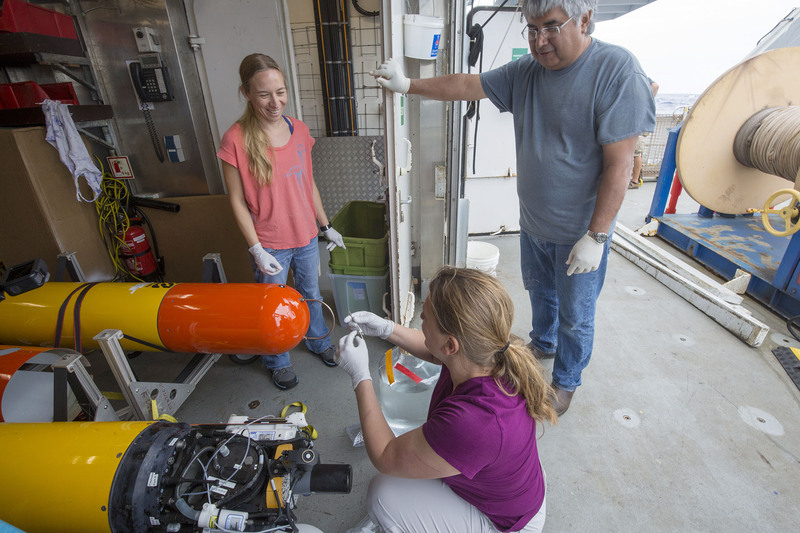 We captured a large amount of geospatial contextual information, oceanographic data, and biological material during the Environmental Sample Processor (ESP) mission. Once the ESP is on shore, we retrieve the filters from the ESP cartridges. Each cartridge contains three filters: one that captures larger eukaryotic cells greater than 5 microns, the next that retains small microbes and large viral particles greater than 0.22 micron in size, and the filter with the smallest pores (our finest meshed net) that can capture most viruses and smaller cells. After separating the different filters, we store them at -80 degrees Celsius, until we are ready to process them. The next steps involve utilizing a few more onshore lab-based robots to prepare samples for genome sequencing and bioinformatics analysis. Using a purification robot, we crack open the microbial cells and then remove cellular debris, leaving only concentrated and purified RNA or DNA – the genetic blueprints of the original microbial community sampled. Next, the samples are passed to a liquid handling robot to prepare many samples together in tandem for subsequent DNA sequencing. The last step is to take these DNA strands from the numerous samples, and “read the code” (via DNA sequencing), converting each DNA strand into a human (and machine!) readable code of DNA sequences (e.g. A,T, G or C, for the 4 different nucleotide bases that make up the DNA code). 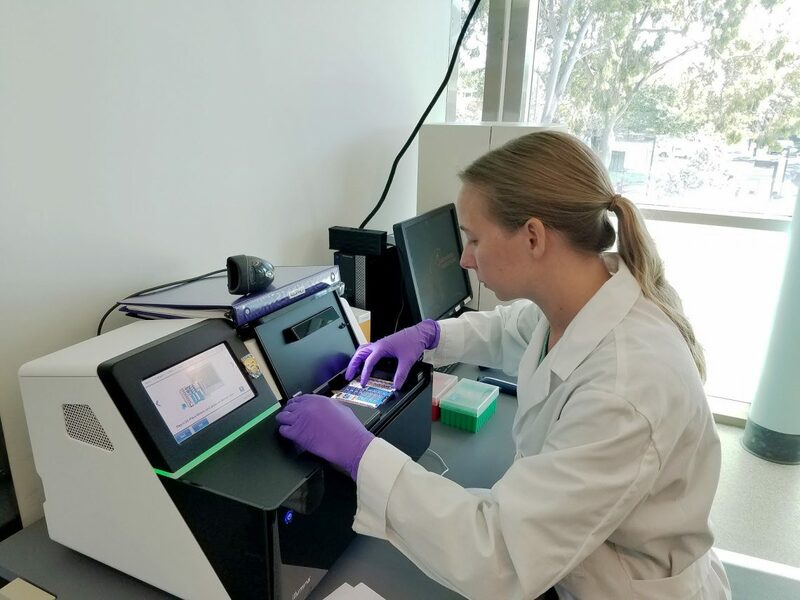 Due to rapid advancements in sequencing technologies, a single sequencing run can determine the DNA sequences of ~400 million different strands of DNA, or about 120 gigabases (109 bases) of sequence information. With all these data we can decipher for the microbial communities in each sample, “who” was there, and what sorts of activities they might be engaged in, on a scale that was not even possible 10 years ago!